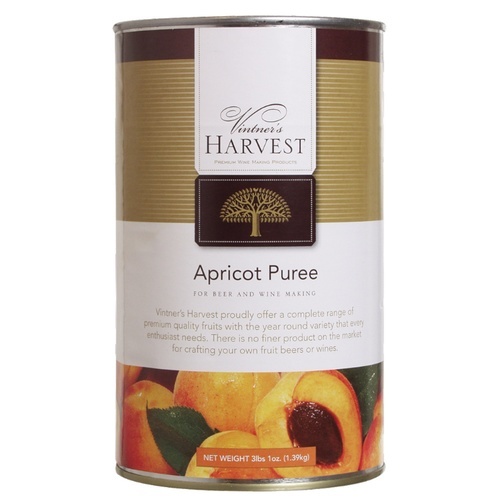 Each 49 oz can of apricot puree is made from 100% apricots with all pits removed. Use one to two cans per 5 gallon batch of beer or mead. One can will give a slight flavor while two cans will produce a more pronounced fruit flavor. Because the product is sterile you can add directly to your fermenter for maximum flavor. There is no need to boil the puree. This product can also be used to make excellent fruit wines. Vintners Harvest is manufactured by Oregon Fruit Products.